We now spend more time sitting during the day than we do sleeping – which when we consider that we spend over a third of our life in bed; that’s a lot of time on your rear-end! 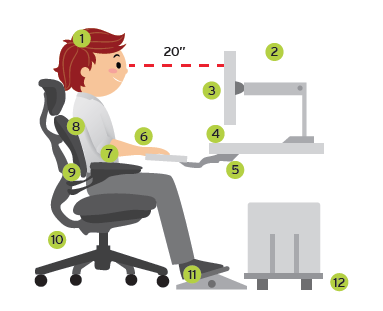 By taking a break in your day and following these simple desk-based ergonomic tips – you can reduce your risk. Pain in the lower back is most often due to stress and irritation of the ligaments, tendons, muscles and soft tissues surrounding and protecting your spine. Sometimes the discomfort can stem from the spine itself; irritation of the facet joints, or compression of the vertebral disc. The stress and irritation usually develop after an injury, however, it can be the result of poor posture, lack of exercise or repetitive strain due to activities such as extended sitting or driving. Searching in Serangoon Chiropractic is available from our wonderful team at ActiveLife Chiropractic Novena.